On May 1, 2013 I had the honor and thrill of a lifetime when, right in the middle of Magic Kingdom, I asked my girlfriend of three years to marry me (she said yes). It was a dream come true to have my own princess agree to spend the rest of her life with me while standing in the grand ballroom of the Be Our Guest restaurant, practically reliving a scene in her favorite childhood film while other guests and cast members looked on. 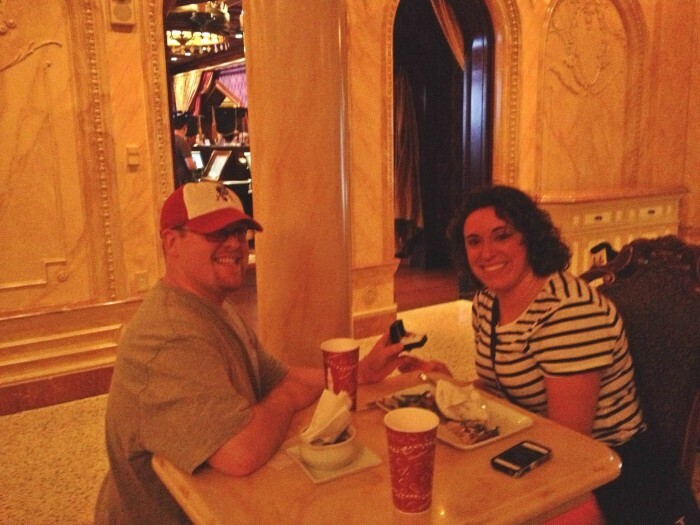 Don’t be like me, hand a cast member a good camera (not an iPhone with the flash off) before proposing. But it almost didn’t happen this way — In fact, it wasn’t supposed to. My plan for months leading up to that fateful visit was to propose in the rose garden near Cinderella Castle during Wishes. When we woke up on the morning of May 1 it was the kind of dark dreary day that never appears in Disney’s promotional materials. With thundershowers popping up and the threat of a torrential downpour looming I had to make a decision. This was our only day at Walt Disney World so there was no delaying, and there was no way I would be able to convince her to come stand in the middle of a garden with me in a rainstorm. So I had to turn to plan B. A proposal anywhere with Cinderella Castle in view is a classic and quintessentially Disney idea. In fact there are advantages to proposing in front of any park icon (as long as it’s her favorite) not the least of which is that there will be no shortage of Photopass photographers nearby to capture your moment. If having your memory preserved forever in this way is important to you, there is another option. You could also possibly still get your proposal photographed in front of a park icon. Disney PhotoPass photographers may still be taking photos while standing under a covering to protect themselves and their equipment from the rain, like under the train station at the Magic Kingdom or under the entrance to Epcot. But bear in mind that this option is likely to only work if the rain is light because you might need to step out from the cover for the proposal and if the downpour is torrential, you and the photographer won’t be the only people seeking cover in that same spot. Another great romantic proposal location within full view of a Disney fireworks display is on the beach at the Polynesian Village Resort. 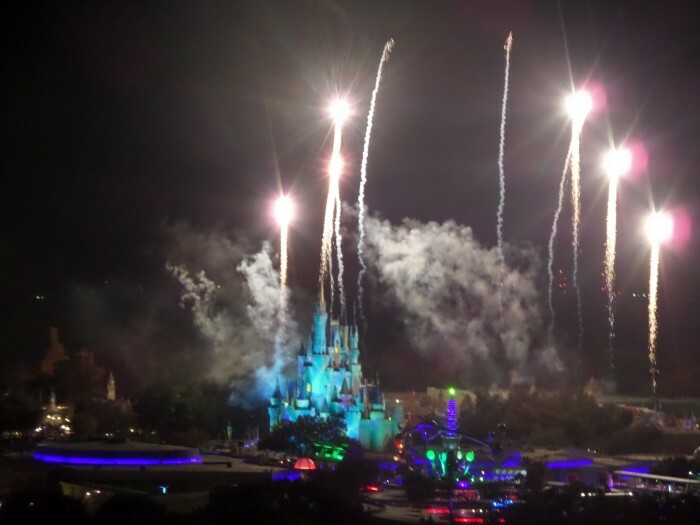 Play your cards right and you can find a secluded somewhat private place to “pop the question” while fireworks boom overhead and Jiminy Cricket’s narration is heard from a nearby speaker. Yet this is sadly another spot where rain and other inclement weather can ruin your plans. If the skies look threatening within an hour of your proposal (but you are still sure the show will go on) consider hopping the monorail to the Contemporary Resort. You won’t even have to try and squeeze your way upstairs to the California Grill. 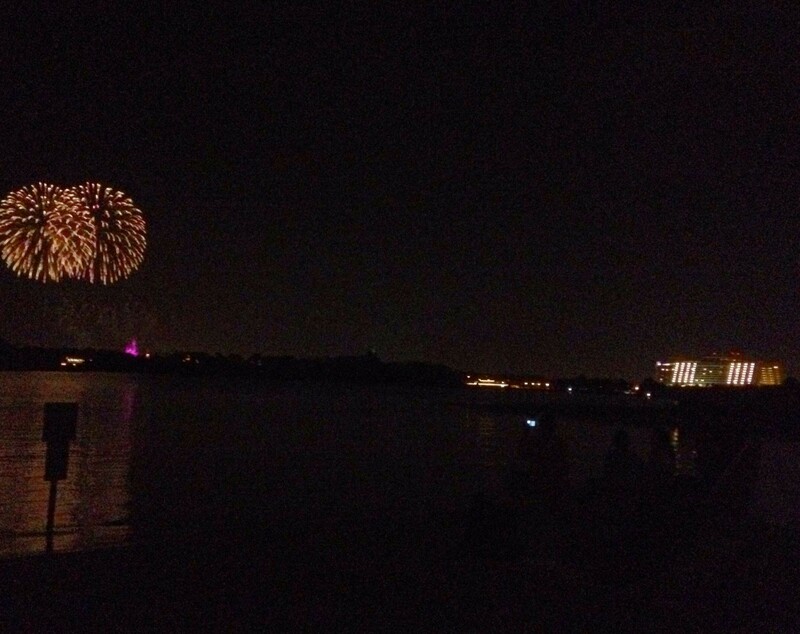 Instead go to the observation area right on the fourth floor and watch the fireworks from there. It will not be as secluded as the Polynesian beach but it will also not be as crowded as the California Grill. With a little luck, you will get to propose while still under cover and dry. Don’t want to settle on a proposal in front of just one Walt Disney World location? 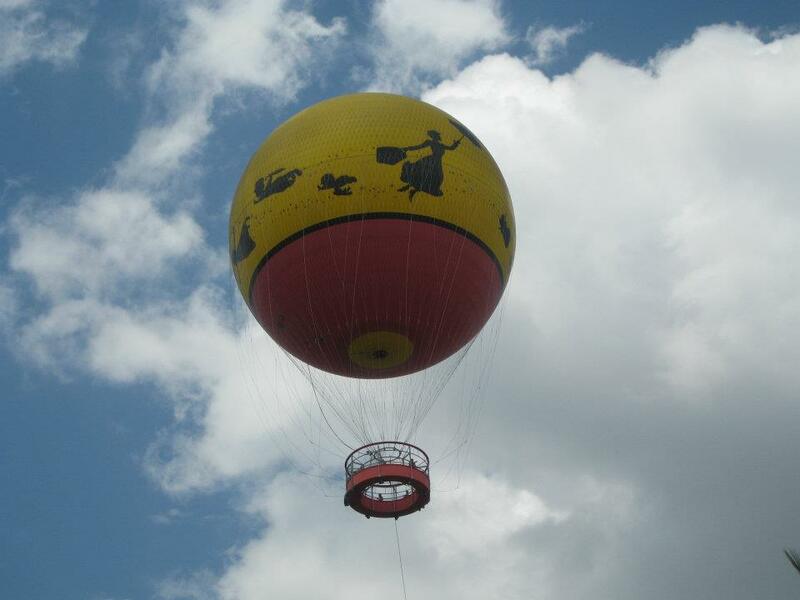 Opt for one while soaring above them all on the tethered hot air balloon at Downtown Disney. Of course, like all well laid plans, a Characters in Flight proposal has one massive downside: winds can close the attraction indefinitely at any time. If your sky high plans get shot down, consider heading for another great vantage point: the top of the Contemporary Resort and the California Grill restaurant. While a table is difficult to come by during fireworks time, odds are that your balloon proposal was slated for daylight hours. 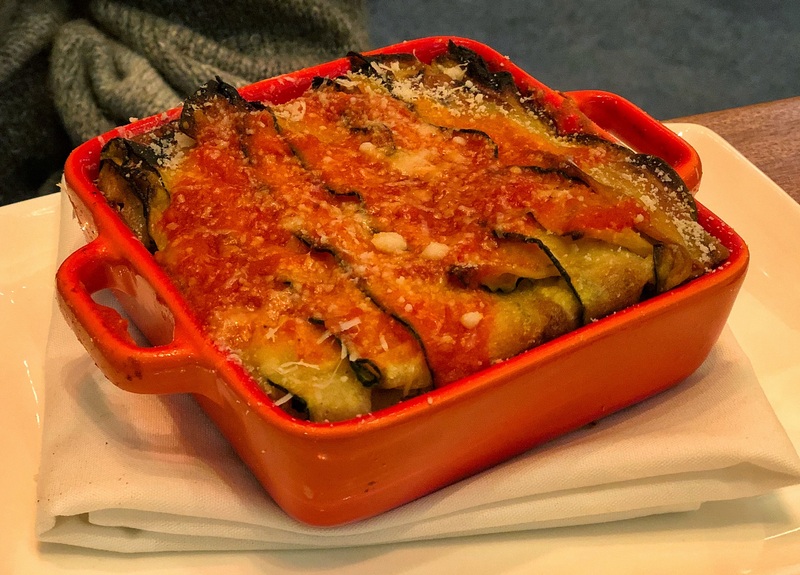 You will have a pretty decent shot at grabbing a seat at the bar (or maybe even with some luck a table) if you head to the restaurant around opening time. What cost more? This ring or our vacation? On second thought, don’t make me answer that. Whatever happens, I can tell you from personal experience that any Walt Disney World proposal will be a magical one, regardless of if it happens at your well planned perfect location or wherever you happen to be when the moment strikes. 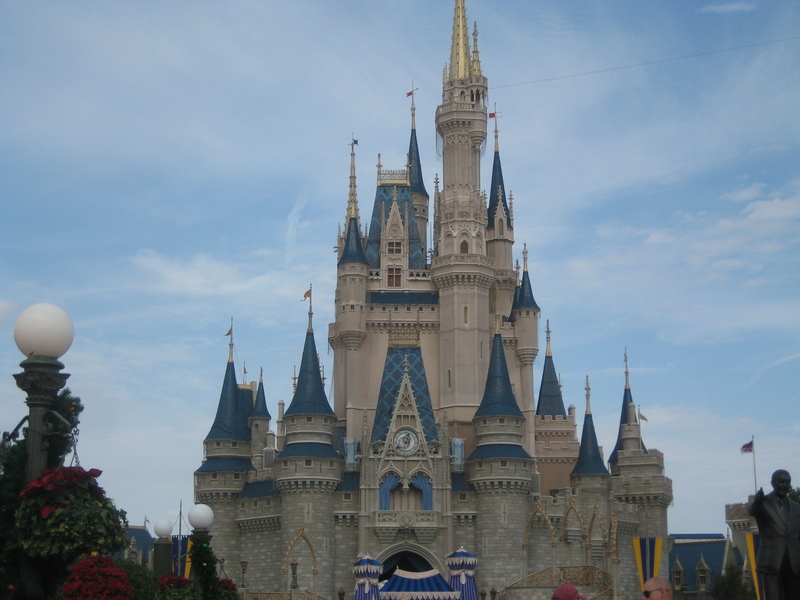 Disney magic knows no limits and your “happily ever after” is well within reach. Just to be safe though, keep a “plan B” in your back pocket at all times! 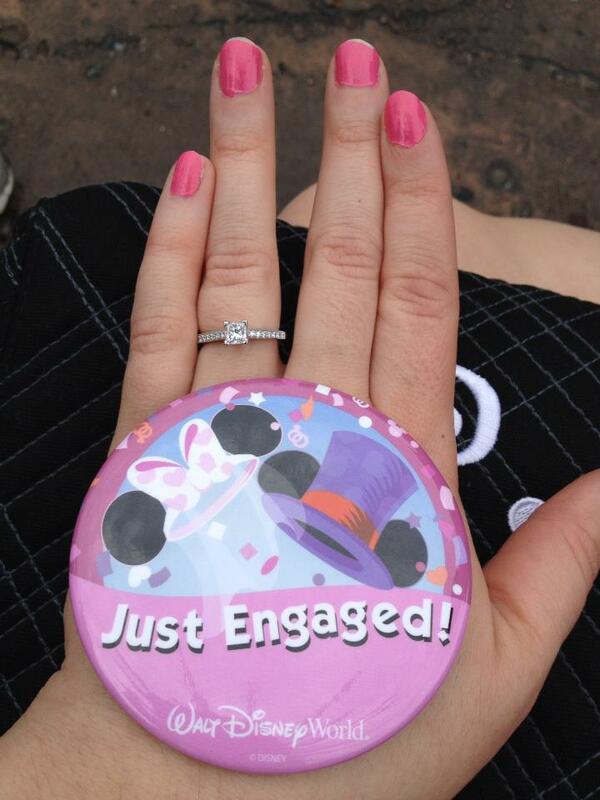 Did you propose to your prince or princess at Walt Disney World? How did it go? Tell us in the comments. Have some “back up plan” suggestions of your own? We’d love to hear them too! My now husband propsed to me at WDW. But not the way he had intended. We were orginally booked for an illuminations cruise but it was cancelled due to bad weather. We waited and waited to see f the storm would pass but it didn’t. I was tired and fed up so i wanted to go back to the room. John thought all his plans were ruined. But we were staying at Bay Lake Towers at the time with a magic kingdom view so we got home showered and warmed up abit in time to watch wishes from our balcony. He decided that was perfect and it was, just the two of us cinderellas castle and the fireworks.